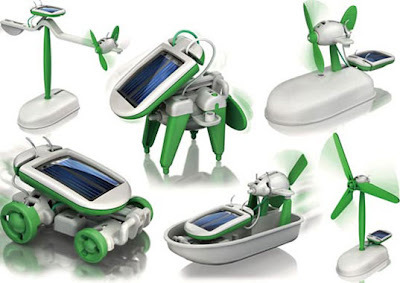 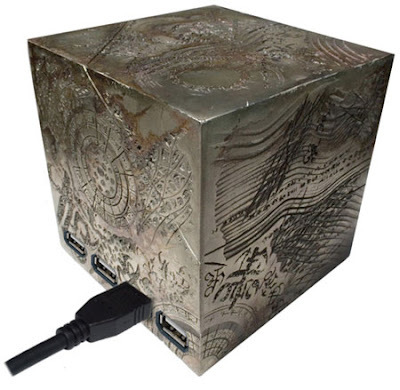 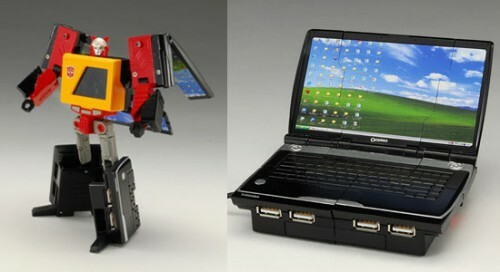 Collection of 'Creative and Cool Transformers Inspired Gadgets and Designs' from around the globe. 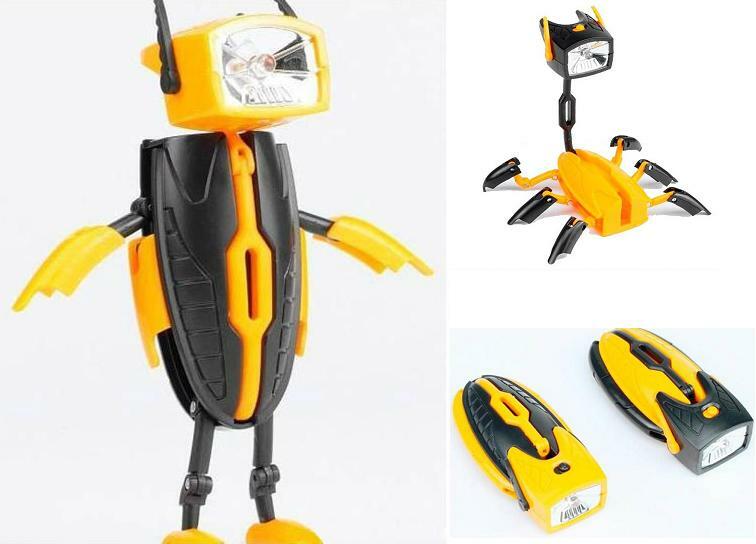 Transformer Torches: The transformer torches can change into 3 different forms. 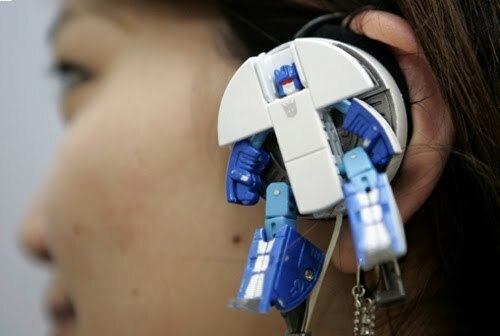 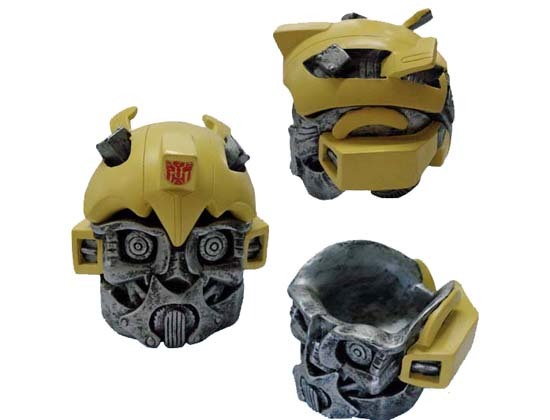 Transformers Headphones: Creative headphones from Japan, that transforms into a robot. 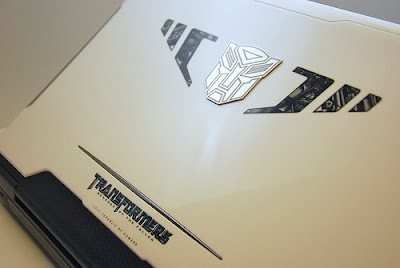 Transformers inspired Asus Laptop: These transformers laptops don't mechanically change into a robot, but its top panel is designed in such a fashion that it creates an impression that its one of those transformers that might change into a robot anytime. 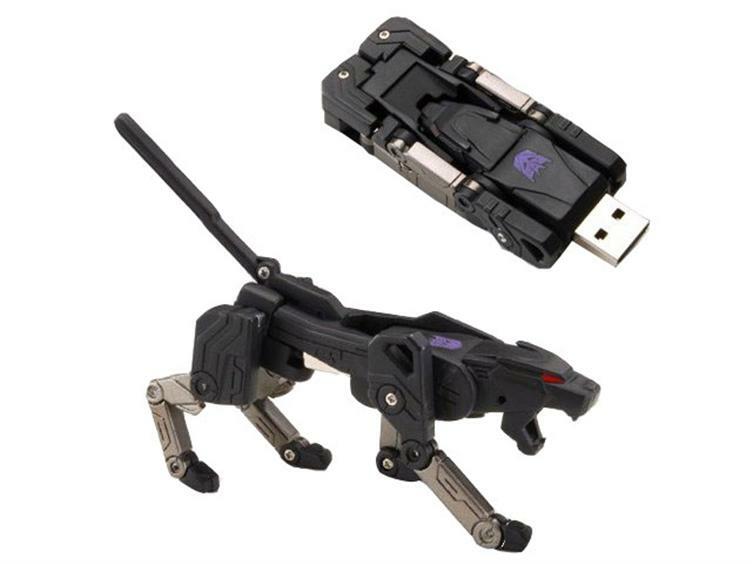 Transforming USBdrive: The transformer USBdrive comes with 2 gigabytes storage. 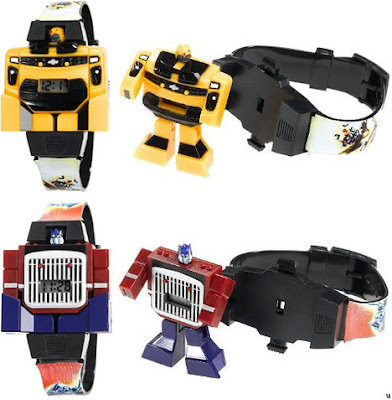 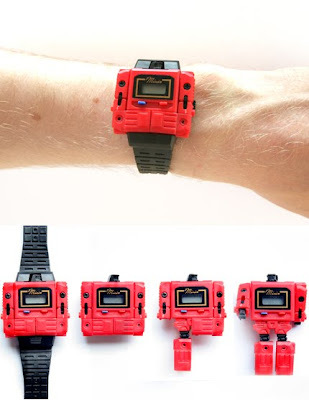 Transforming Watch - 1: The robot can be removed from the watch and can become a standing robot. Transformer Camera -1: It's a 35mm transformer camera that does not change into a robot. 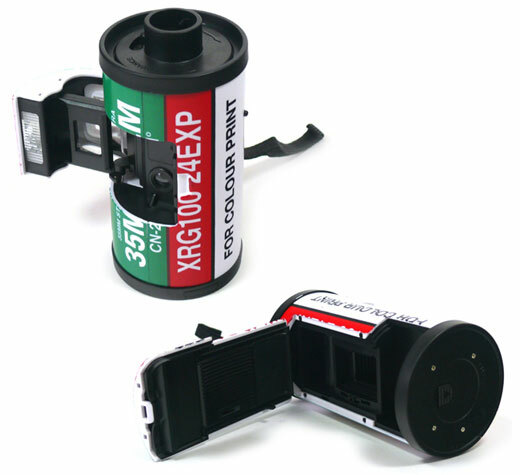 What looks like a 35mm film is actually a camera and when the small cover is opened it shows the viewfinder, an optical lens and a flashlight. 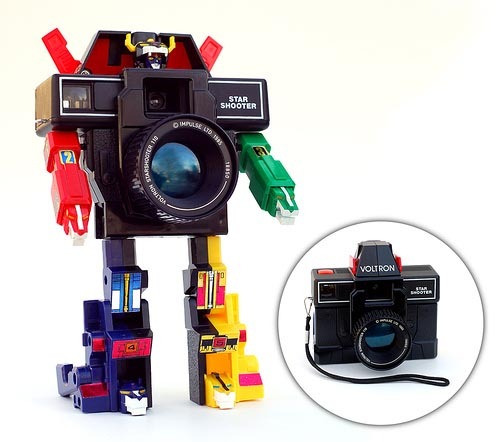 Transformer Camera -2: It's a real Voltron transformer camera. 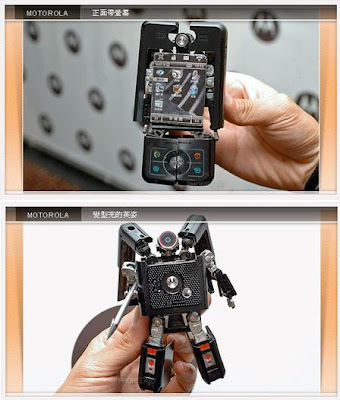 Transformer Mobile Phone: MOTOROKR E6 turned into a fully functional transformer mobile phone. 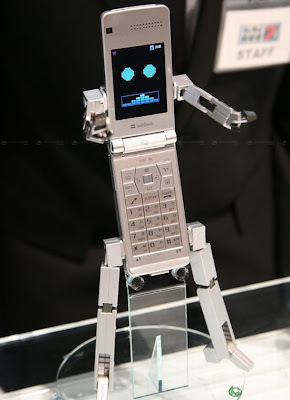 Transformer Mobile Phone - 2: The 815T PB mobile phone from Softbank was made for a Japanese TV drama. 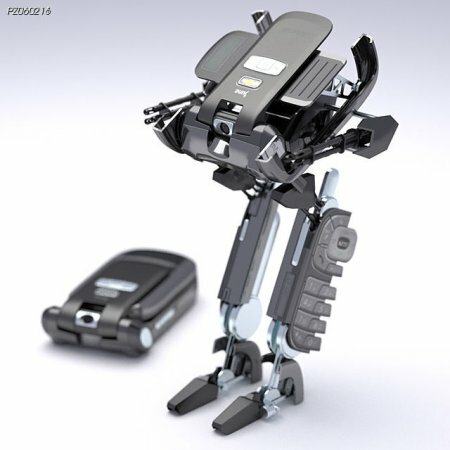 Transformer Mobile Phone - 3: It's a concept mobile phone from Parkoz Hardware. 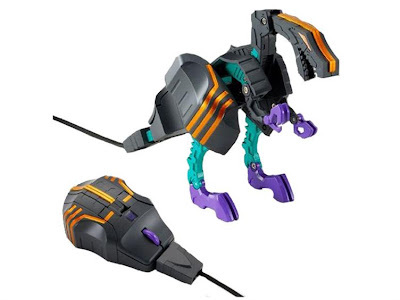 Transforming Computer Mouse: A cool Trypticon transforming computer mouse. 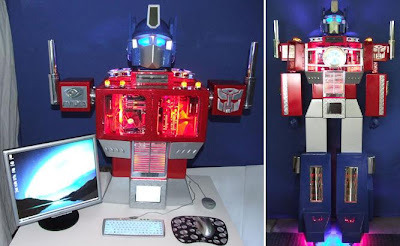 Optimus Prime Computer Casemod: This cool casemod is 6 feet 10 inches tall, has space in its legs where you can store your keyboard and other computer stuff. 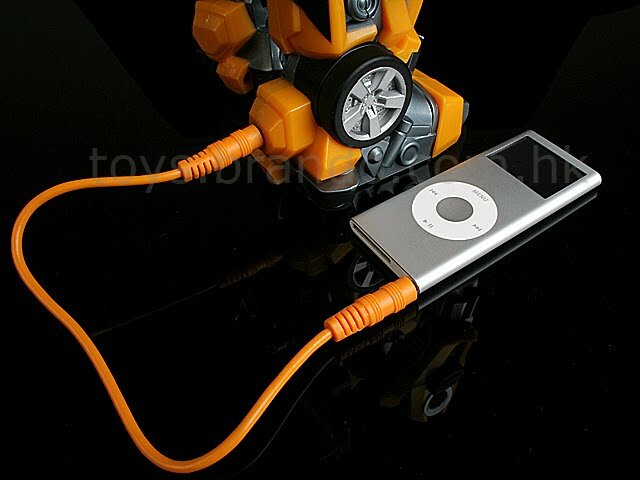 Optimus Prime iPod Dock: This Optimus Prime iPod dock is fully licensed by Apple; the trailer holds two speakers and all standard size iPods can be placed in the center of the trailer to play your favorite tunes. 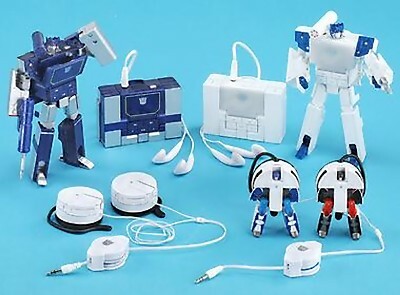 Soundwave Transformer MP3 Player: Place a 1GB (or lower) miniSD card filled with MP3s into it and soundwave will play them in either robot mode of cassette mode. 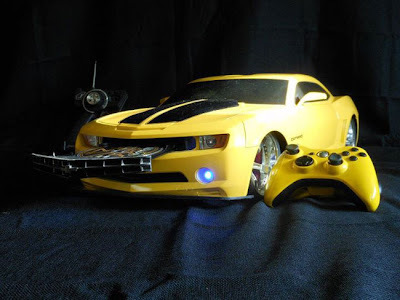 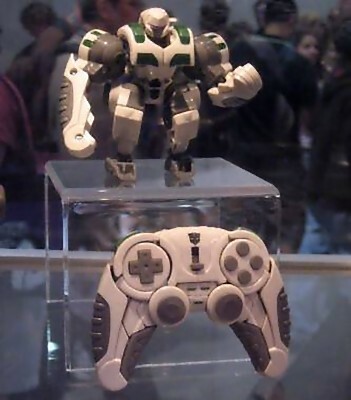 Transforming PlayStation Controller: A high score 100 transformer turns into a PlayStation controller. 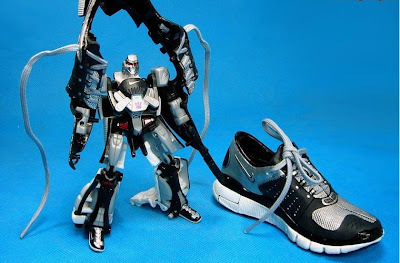 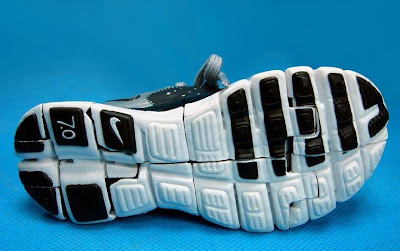 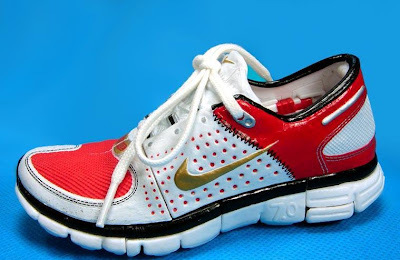 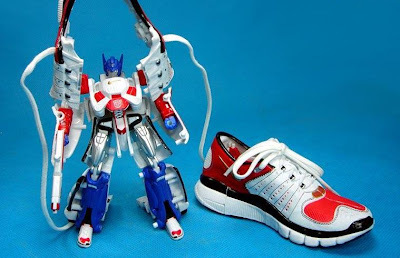 Nike Transformers Running Shoes: These running shoes tranforms into robots.